Many organizations underestimate the complexity of their file sync and sharing needs. After all, they just want to move files around. That seems like it should be easy. 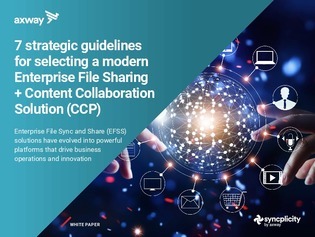 In this resource, learn about enterprise file sync and share (EFSS) platforms and find out how they have evolved into powerful tools that drive business operations and innovation.